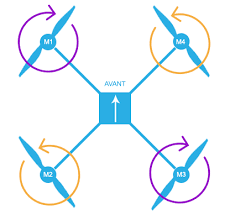 Its driving me mad never had this problem before we had drones but hey thats life , so can anyone clear this up for me .I want to buy a prop for my model spacewalker so what prop should i buy `ccw or cw´´ counterclockwise or clockwise ??? @bushy Looking at the front of the plane most motors are setup to run ccw (counterclockwise). So this is the type of propeller you need. The op is enquiring about props for fixed-wing, not multirotor.